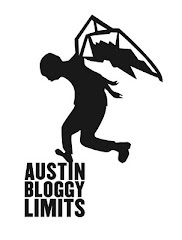 The remainder of the SXSW 2010 Preview posts will be all about Austin bands that you out-of-towners should catch while you're here. The first band I want you to take note of already built some buzz at last year's festival but I think this will be their big break-out year. Ume has been touring in support of their Sunshowers EP all year and they've begun to road-test lots of new tunes live. I expect even the Austinites will get to hear new things from Ume at this year's fest. I'm a big fan of the Sunshowers EP but in all honesty it's not nearly as captivating as seeing the band locked into a groove in person. Find out all of the places you can catch Ume during this year's SXSW after the jump. Basically if you're looking for music that's not cute or ironic but just downright rocks then Ume is the band for you. I expect after this festival we may even seem them at some of the bigger, summer festivals that occur throughout the country. Maybe that's just wishful thinking, but I can see Lauren flailing her hair for a festival audience.